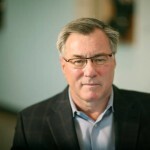 Eric Sprott: Copper/Base Metals Bust Will Exacerbate Silver Supply Problems - Wall St. for Main St.Wall St. for Main St.
Jason Burack of Wall St for Main St interviewed returning guest, Chairman of the Board of Directors of the Sprott group of companies http://sprottinc.com/, Eric Sprott. Eric is a successful investor and has over 40 years of experience in the investment industry and has managed client funds for 37 years. During this 25+ minute interview, Jason asks Eric why does Wall St still give the Federal Reserve any credibility? Eric says no central bank should have any credibility left after all the artificial booms and busts the last few decades all over the globe. Eric blames the Keynesian mindset of many market participants for letting the status quo continue. Next, Jason asks Eric about the recent elections in Canada and if the results of those elections means higher taxes on Canadian oil companies and Canadian mining companies? Eric says it would be crazy for Canadian politicians to raise taxes on their resource companies during a long, painful bear market. Jason then asks Eric about weaker commodity currencies and the currencies of developing countries and how they affect mining companies that owe debt in US Dollars? Eric thinks miners are working hard to cut costs and the ones without too much debt or without any debt should survive as the cycle turns. Jason asks Eric what evidence do we need to see before there’s proof of a physical silver shortage? Jason and Eric discuss the base metal miners who produce massive amounts of physical silver as a by-product. Finally, to wrap up the interview, Jason asks Eric why China, Russia, BRICs and the other G20 developing countries haven’t pulled the plug yet on the US as sole WRC in the global financial system? Eric says Russia and China want to keep accumulating more cheap physical gold and now China is working with Sprott Inc on investing more heavily into gold companies and other resource companies.